In addition to Halsey, BTS will also be working with Ed Sheeran for their comeback mini album 'Map Of The Soul: Persona'! The new mini album contains a total of 7 tracks, including title track "Boy With Luv" feat. 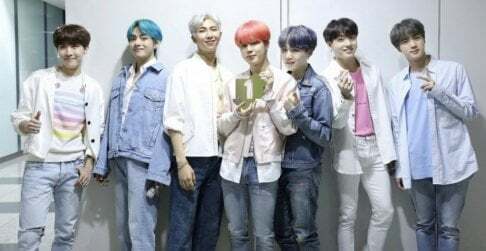 Halsey, RM's solo number "Intro: Persona", "Mikrokosmos", "Home", "Make It Right" co-produced and co-written by Ed Sheeran, a special unit song by j-Hope, Jin, and Jungkook "Jamais Vu", and finally, a powerful, BTS signature hip-hop track, "Dionysus"! You can listen to all of these songs above when BTS's 'Map Of The Soul: Persona' drops on April 12 at 6 PM KST! Yaaas! I was waiting to see what that tweet from Yoongi was all about. Also, THEY HAVE 3M IN PRE-ORDERS!! The idea of Dionysus is already hyping me up! R.I.P Mic Drop.